Our collies can be traced back to him and he is my favorite Sunnybank character. Yesterday was his hundredth birthday. I was unable to post since I was unable to get on the computer to do. Its been a busy Advent so far and my apologies for those comments that did not get approved. For some reason my blog page does not work so well on my phone…. so the post was delayed till today. I love Gray Dawn, I see a lot of the silliness of his in my collies…. the twisted innocent logic…. the fun and loyalty he displayed…. Here is one of my favorite collies from Terhune’s Sunnybank Collies. Gray Dawn was a character who was a happy soul full of life and fun who had a true propensity to turn that fun into trouble in a innocent way. 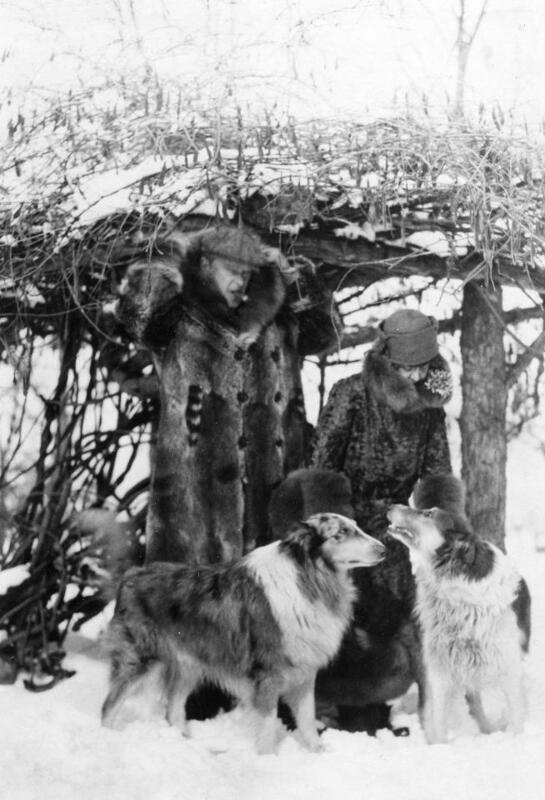 A big Blue Merle who became a true buddy of Terhune’s. He especially looked after Terhune after Albert was hit by a car. My favorite Gray Dawn stunt of all time is the day when Terhune and his wife were getting ready to go to a wedding. Terhune was waiting for his wife wearing his Tux standing by the Lake. Gray Dawn ran up behind him to give him a big hug greeting playfully like he loved to do. He came from behind Terhune and was so quiet he hit him and knocked him face first into the lake! Terhune later admitted that as he flew into the water his thoughts consisted of regretting he had saved Gray Dawn when he was a puppy! LOL….. In the winter Gray Dawn is in the center of the picture. 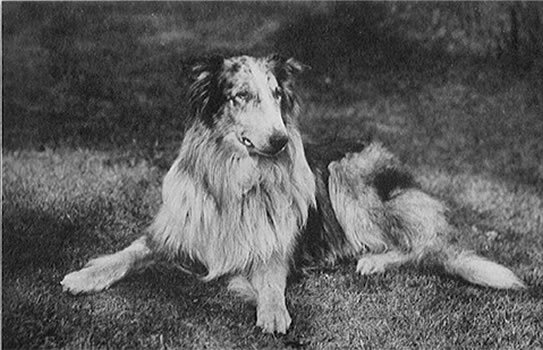 Gray Dawn was the son of Bruce who was a gallant collie pal of Terhune’s. There were two lines at Sunnybank. Treve’s and Bruce’s. Born three months after Lad died Gray Dawn lived through the Golden Age and saw all the most famous and well known collies at Sunnybank live and die. On May 30, 1929 Gray Dawn laid down on the rug to the left of Terhune’s desk and passed into the afterlife and with him passed the golden era of Sunnybank. A bit of irony is that 9 years to the day of Dawn’s death, his son Sandy laid down in the exact same spot and passed away also…… having collies I can tell you that irony abounds with them as Terhune could tell you.